These glowing water beads are the coolest thing ever. 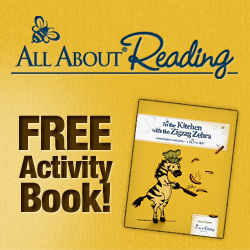 They are so much fun for children of all ages, and adults too! 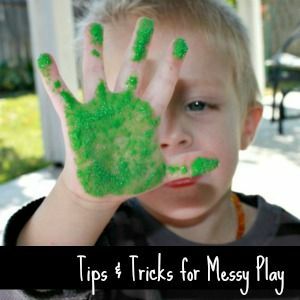 They can be used for sensory play, Halloween, imaginative play and more. 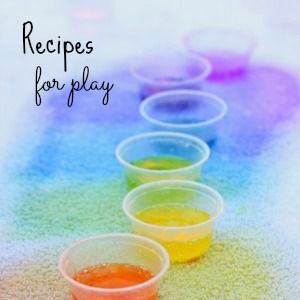 We love playing with water beads and have used them in a variety of ways. 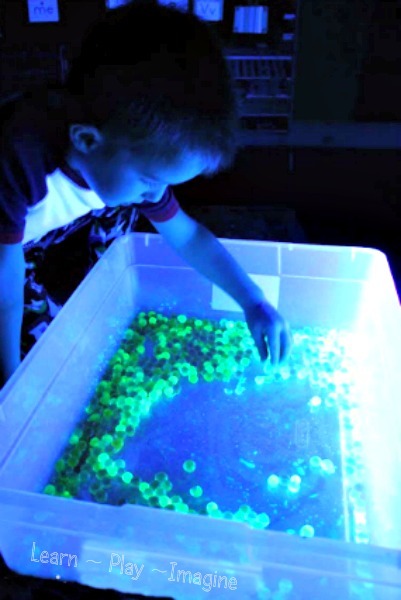 I have to say, glowing water beads are our favorite, with frozen water beads as a close second. To make the glowing water beads I first made glow water. Glow water is simple to make, and my boys even like to help. 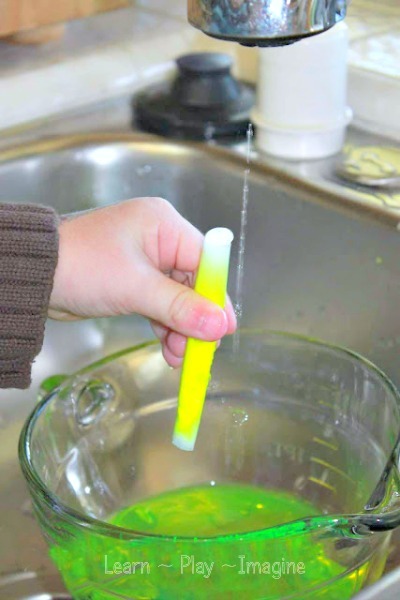 To make glow water you need yellow highlighters. I prefer to use non toxic highlighters since my kids will have their hands in the water created from the ink. As with all sensory activities we wash our hands after play. Directions: Break open a yellow highlighter. Use caution while breaking it, because little bits of plastic can go flying. Next run water through the inside of the broken pen to get all of the yellow from inside then run the spongy part under the water. JZ (4) wanted to help, so he held the sponge and squeezed the yellow out. *Update* The first time I made glow water I held it under running water. The second time I made it I smarted up and cut the spongy part open. The glow rinsed into the water in seconds. Easy peasy. To make glowing water beads soak clear water beads in glow water for several hours. I have made glowing water beads both from brand new water beads and from already hydrated water beads. If they soak in glow water long enough they will absorb enough of the glow water to glow. My kids thought these were the coolest things ever. J-Bug (3) kept turning the lights on and off to see the difference in the water beads. JZ has an obsession with anything that glows, so these beads were probably the highlight of his entire week, maybe even his month. Water beads are cool enough on their own, and these babies really GLOW! He rolled them back and fourth in the bin over and over, mesmerized. 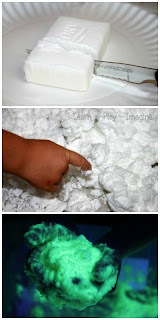 *Update* We love glowing play and have used glow water in many ways. 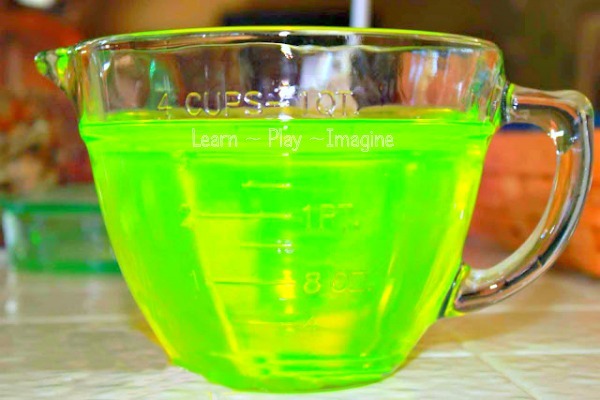 While it is okay for kids to touch as long as it is made with a non toxic highlighter, I cannot tell you how thrilled I am that my good friend over at Fun at Home with Kids came up with a 100% safe recipe for glow water. 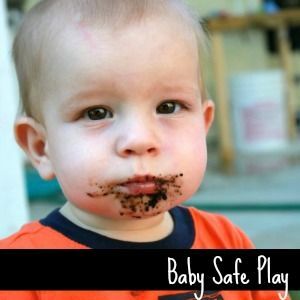 It is pediatrician approved and even edible. How cool is that? 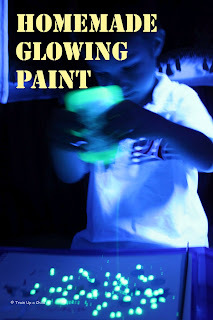 For more glowing activities for kids follow me on Pinterest. 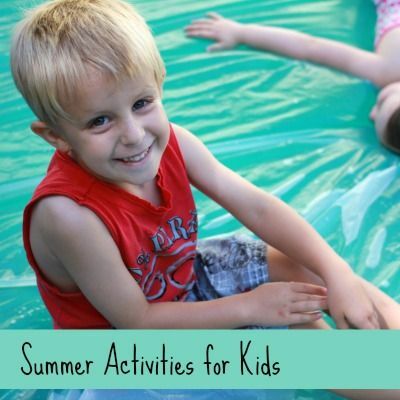 Thanks for linking this up on our Adventures in Water Beads page! I have yet to make the highlighter infused water and this post makes it look so easy I am definitely going to try it soon :) We will be sharing this on FB, and pinning to our Water Bead board! 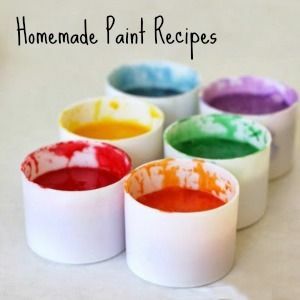 I love this idea and am DEFINATELY considering it as a project for my class of preschoolers! :) However, you said something about using a blacklight, and I was wondering if that was necessary to see the glow, or if it would still glow in just a darkened room. I really need this for my school project, but we don't have black light so... Can it glow even without the black light ??? No these require a black light. I've seen these ones on Amazon that do no require a black light, but I haven't tried them myself to know how they would work. I have yet to make a light table (or rather nag my husband to build it) I might just need a table that can also hold a black light. You have me convinced! This is so awesome! Thanks for sharing! I hope you will join us for The Weekend BLOG Hop on Friday! BTW ~ I love MFW Kindergarten! They are a polymer intended for keeping flower arrangements hydrated. 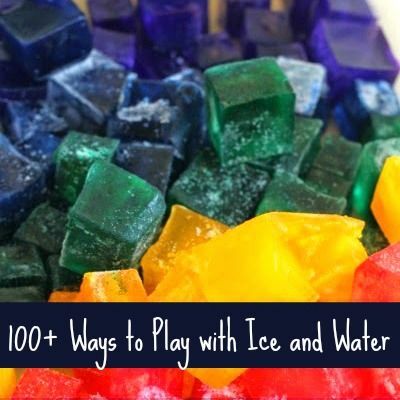 They retain water and make for wonderful sensory play. Enjoy! Have you tried using tonic water instead of the highlighter? Absolutely brilliant!! 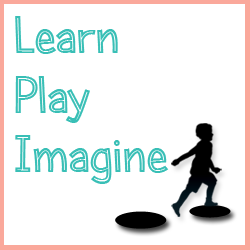 I love using water beads in my classroom, and the kids love exploring with them. I'll have to try the glow water next time! The new kids Orbeez will also work the same way. how long does the glow last? an hour? a day? Where do you get the water beads? Do I need water beads if I want to make ice cubs? do I just mix it up the same and put it in an ice tray and freeze? Is it safe to put in a punch? I know this is a post meant for kids, but I'm 36, and childless, and I think it's brilliant (glowing pun not intended... ok, maybe a little). Used them as decoration in a "Mad Scientist's Lab", in this year's haunted house. Great stuff! So I completely blanked and thought I was supposed to put the beads in the water to grow first. Realized that they probably need to grow in the glow water so they soak the glow water in? Hoping they will still glow. Thanks! Also, do you store the beads in water? How do you know when they need to be hydrated if you don't store them in water? 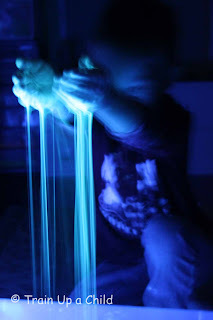 Since you are using a black light you might try soaking them in tonic water as it glows under a black light. Where can I fInd the water beads ? Michaels, Walmart, or Dollar Tree near the floral arrangement supplies. I get mine on Amazon. 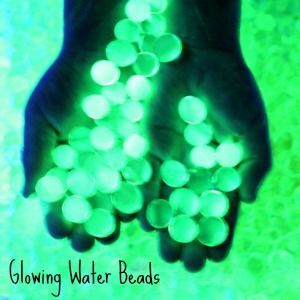 Could you break open a glow stick and empty into water and then soak the beads to glow without having to buy a black light? 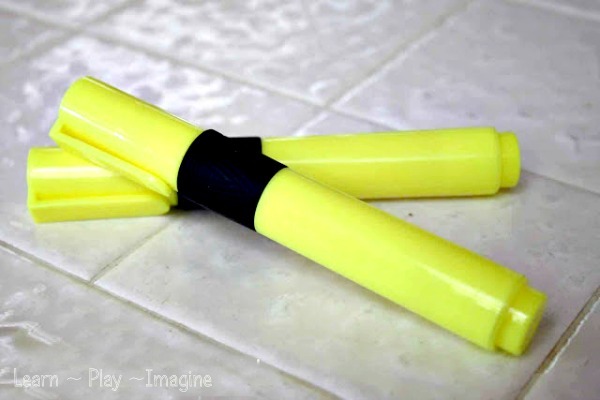 I saw that glow stick liquid can be placed in a bottle of bubbles to get "glow in the dark" bubbles (although I haven't tried that yet). will the beads glow forever, or does it eventually wear off? The glow does not wear off. Waterbeads eventually dehydrate and require more water. I usually add regular water to our beads unless I happen to have more glow water handy. After adding a lot of water they could get diluted a bit, but they still glow. Would you be able to put these in a pool after they are made? My daughter is having a blacklight party and would lovee these in our pool! I wouldn't put these in the pool, although they certainly would look cool! You could try but be sure and scoop ALL of them out when the party is over. I don't think I would do it. What about glow sticks in the pool? Those would be easier to clean when it's over. Have fun! How safe are these with the kids - What if they eat them?? They should definitely NOT be ingested. Neither the water beads nor the glow water is safe to eat. Be careful with black lights. Warn the kids not to look directly at a black light, the UV can damage their eyes if they look at it for too long. And prolonged exposure to the UVA that is in black lights can cause skin cancer. Black lights are fun as an occasional thing, but I wouldn't use it very often. Hi, this is brilliant and so easy. but can I use glow water as base for making colors for either glass painting or any other? I'm not really sure, sorry. Have you tried breaking open a glow stick into that water? No I haven't tried it. I have read stories about tiny pieces of glass inside of glow sticks. I don't know it is it true, but it's not something I want to risk with my kids. you can buy those polymer beads in most garden centers for very little, but the dollar tree has them in a smallr version already wet in jars. You can buy the polymer beads at most garden centers or at the dollar tree discount stores. I wouldn't recommend it. The beads are non toxic, but in not sure they are okay for a fish to ingest. How flipping cool are these?! I want to play with them...maybe I'll let the kids join in too. ;) Love it! The "spongy part" is called a reservoir, I used to work for Sanford, markers of Sharpie, just as an FYI. 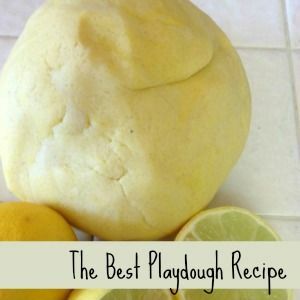 This looks like a lot of fun, I'll have to try it out with my little guy! I love this! My kids are going to think I'm a rock star! Thank you for sharing this. I will be pulling it out the next time we get stuck in the house. What a great way to turn a day around! Pretty neat but it does make me sad that they are not actually glow in the dark but just black light reactive. Title is kind of misleading.